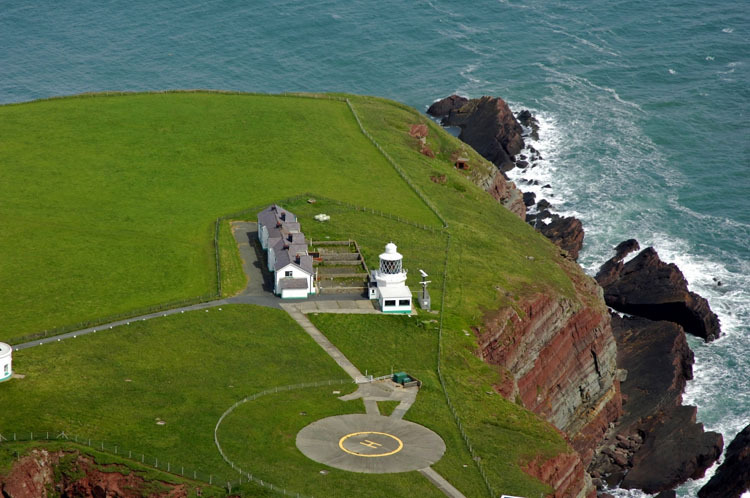 An early light house existed but was closed down. 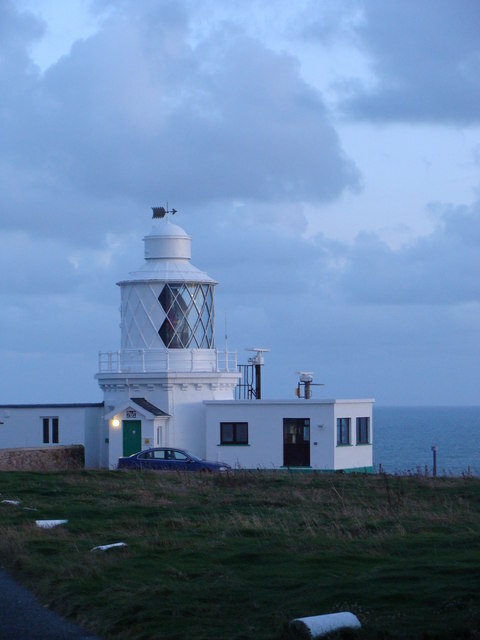 Next, in 1714, there were two lights, the front of these being replaced a bit back from the cliff front in 1841, and the rear being converted to holiday accommodation. 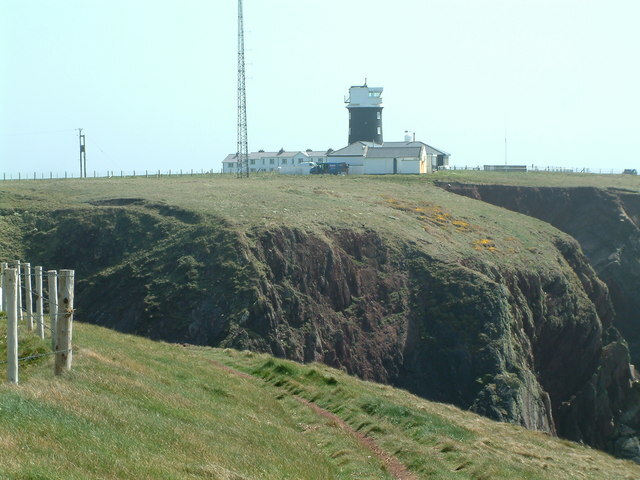 Robert Stevenson visited the Station in 1801 and describes them as leading lights guiding vessels clear of the Crow Rock off Linney Head. The light is from Argand burners with parabolic silvered copper reflectors each twenty and a half inches in diameter. In the one lantern there are 16 reflectors and in the other 11 and though they are only about one hundred paces distant from each other there is a distinct keeper at each lantern, so that they are in the most complete state of cleanliness and good order! This image shows the distance from one lighthouse to the next. 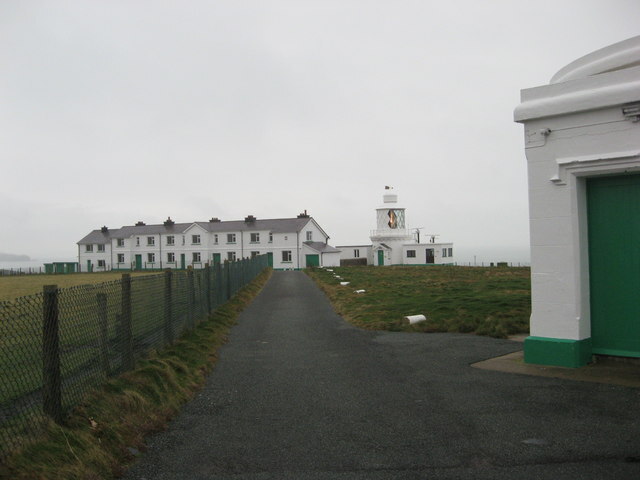 The cottages were the home of the lighthouse keepers and their families before the lighthouse was automated. 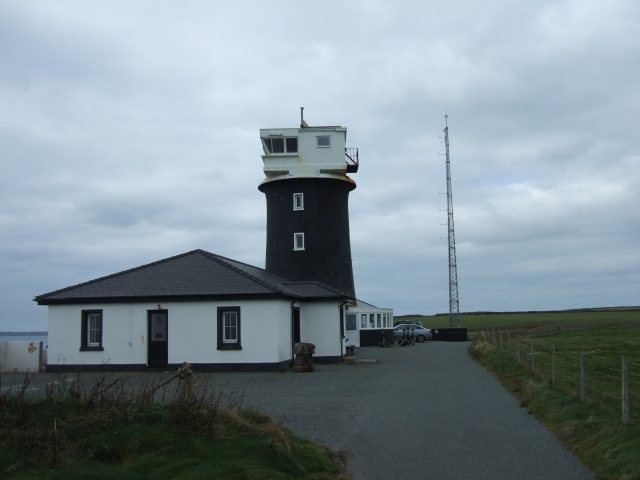 The lighthouse is now controlled from the headquarters of Trinity House at Harwich in Essex. Please let us know any other information that we can add to the Grid or page and any errors that you discover. Before making a long trip to any location it is always wise to double check the current information, websites like magazines may be correct at the time the information is written, but things change and it is of course impossible to double check all entries on a regular basis. If you have any good photographs that you feel would improve the illustration of this page then please let us have copies. In referring to this page it is helpful if you quote both the Page Ref and Topic or Section references from the Grid below. To print the planning grid select it then right click and print the selected area.